- How much data have I got left this month? - How many minutes and texts have I used? - Have I spent anything on top of my plan? - When will my allowances reset? - How much do I spend when I go abroad? 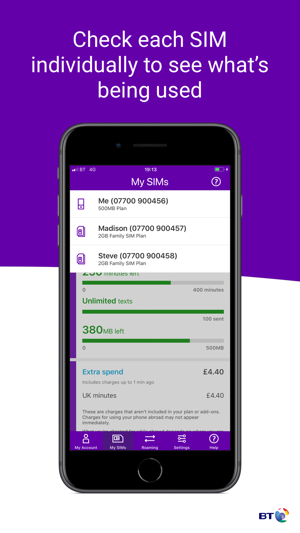 Have used the app for almost 12 months now and up to the latest release I would have rated this as 4 or 5 stars; a great dashboard for showing your current usage, easy to control any additional spend or extra features (such as data bundles outside EU/UK). So why the poor review now and low score of 1 star. Well it appears with the latest release the app now needs to recognise the SIM in your device. No thought given to people who tether their device (iPod touch) to their SIM in another phone (Nokia runnings Windows mobile). Appreciate it’s not the “norm” to do this (surely I’m not the only person who tethers devices) and for me personally a massive backwards step. I now can’t use the app (it refuses to run) so no ability to control spend or add extra features). Real shame that such a useful app is now just junk and occupying space on my iPod Touch storage. Sorry to hear you're giving us 1 star. 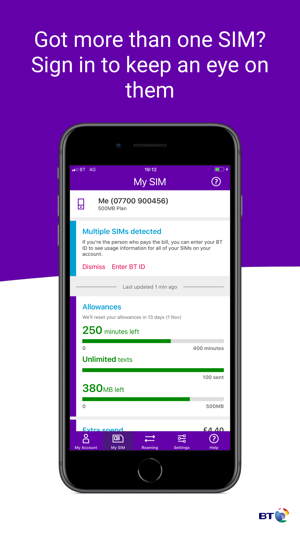 But please understand that our app needs to recognise the SIM in you're device and you may found that this is unfair but we need to do this for security reasons as we’ll use your SIM to validate who you are. Sorry if you disagreed with this but our mobile network is highly secure and we want to keep it this way. Please can you remove or review your comments with the understanding of what I have confirmed to you. 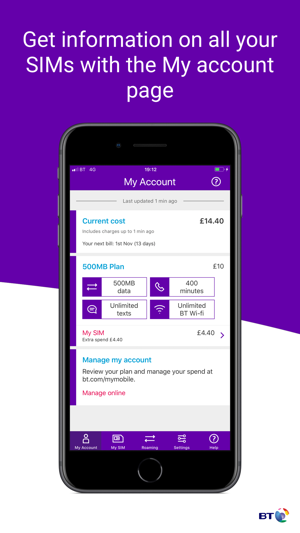 Everything worked until we changed our bt family plan to 15gb, my data didn’t get hanged till 15 days later even though the two other phones had been done 2 days after changing, so we called customer service and were switched to three different people. The last lady we were on the phone to was the only helpful one and gave us another deal with 30gb for a great price. 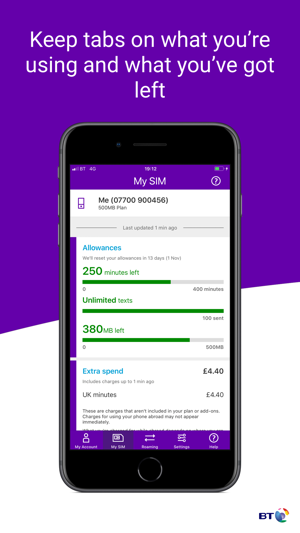 Everything was fine for about a week until my BT app started not showing my usage and saying my usage isn’t available at the moment and it said to check on the website, but of course there was another problem, my phone number wasn’t even showing up on the website. Don’t even know if i’ve been charged for my data i’ve been using. Not good enough! Sorry for the problems. 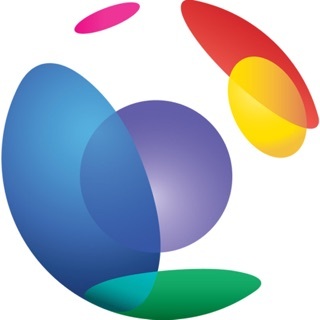 Can you send us your details here mobile.apps.support@bt.com and we will look into it for you. This app used to wok fine and was actually quite good. Then, as soon as I upgraded to iOS 11, it stopped working and now it won’t show me ANY of my current usage - so useless, basically! I have tried to report this to BT via the app but that feedback facility didn’t work either! 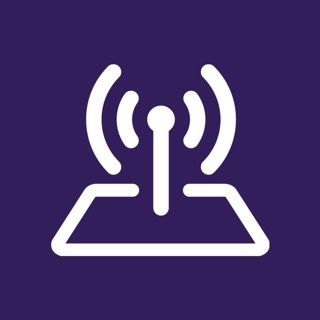 If BT spent as much time and money on it’s telecoms business as it does buying pointless Premiership football, then they might produce an app that actually works! Ash - It says ‘Update failed’ whenever I try and access the ‘My Account’, ‘My SIM’ or ‘Roaming’ tabs. The only tabs that work are the ‘Help’ and ‘Settings’. When I reset the app it works ONCE and refreshes the usage data, after that, the whole thing doesn’t work again and says ‘Update failed’ - Really frustrating!!!! I am using iOS 11.1.1 on an iPhone 6s. I'm sorry you're having issues with seeing your usage. Are you able to see other features on the app?